ArchiCAD | LIP BLED - a touch of nature in your home. 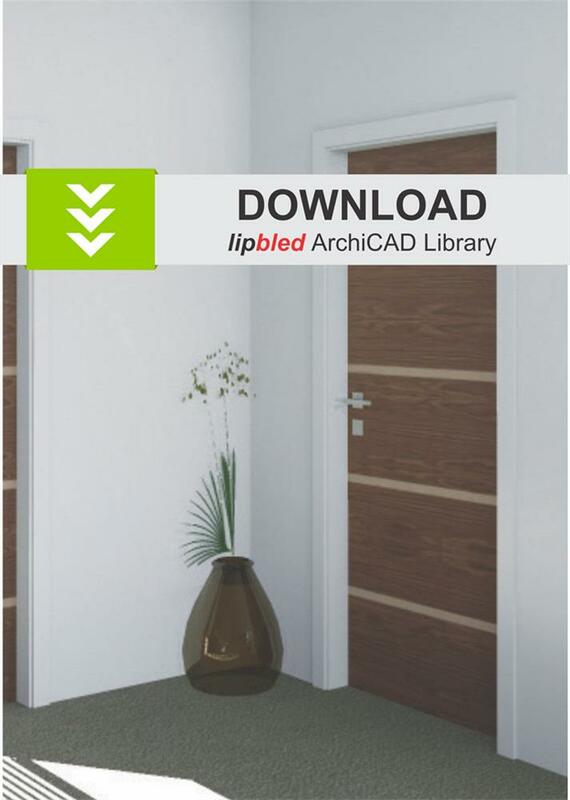 All users of ArchiCAD 21 software will be glad to know that an updated booklet of lipbled interior doors with corresponding door frames is now available. Of all the major changes, it is definitely worth pointing out that the product book boasts over 200 different models of door leaves with an option of additional range of 6 different standards, special dimensions, edges, profiles, opening types and door leaf fillings. This time it offers everything you need to provide you clients with a 3D virtual model of buildings, including all the details. The booklet is free of charge. All you need to do is download it to your device and install into the existing software. For additional information you can contact us at marketing@lip-bled.si. We would also like to express our sincere gratitude to the companies Pilon AEC and Modul3 biro za arhitekturo, as well as Jože Marinko, for all the support and assistance during the realisation of this complex project. 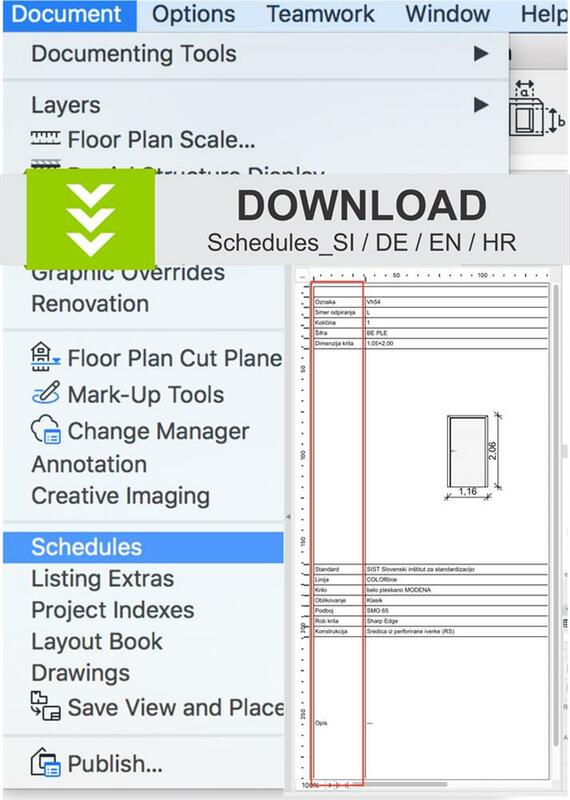 Here are some information on the ArchiCAD software. It is a 3D building modelling tool that also enables Information modelling (BIM – Building Information Modelling). It is designed for advanced users – particularly in the construction industry. It enables the design of complex model, photorealistic renderings and animations, energy analyses etc. For all of you, who would like to try it, a free demo version is available, while the fully functioning version is only available to students.